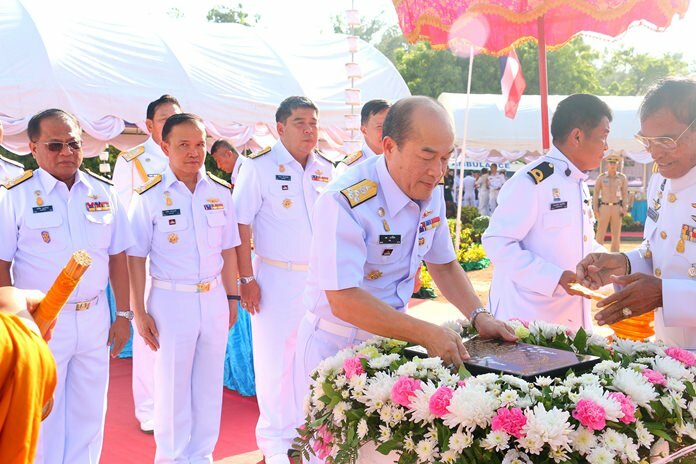 Navy commander-in-chief Adm. Na Areenij laid the cornerstone of the Naval Life Support Center at an Aug. 2 ceremony on Nang Rong Beach. The Royal Thai Navy broke ground on a new nursing home near the Sattahip Pier for retired service members. The center will be a complex of buildings spread over 30 rai of beachfront where current or retired naval personnel can receive physical therapy and long-term care. In addition to six hospice beds and nursing rooms, there will be a hydrotherapy facility, recreation room, gym, music room and swimming pool.